This week we are reviewing a CD that, whilst not new, merits recognition for the artists and the material contained within. 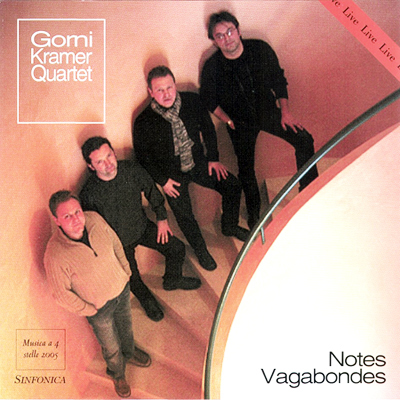 The excellent musicians’ that make up the “Gorni Kramer Quartet” are Sebastiano Zorza (accordion and leader);Marko Feri (guitar);Aleksander Pavnovic and Giorgio Fritsch (drums). They take us on a wonderful voyage across musical frontiers without specific or generic styles from the 40’s and 50’s to the end of the last century. A varied and intertwined route with an ever present rhythmic feeling that involves the listener. The programme revisits the Italian post war era, a period characterised by a certain “Americanisation” or rather jazz influence that was often happily combined with traditional Italian melodies. Two musicians – noted accordionists but also arrangers and orchestral directors were among the leading lights of the music scene of those years. 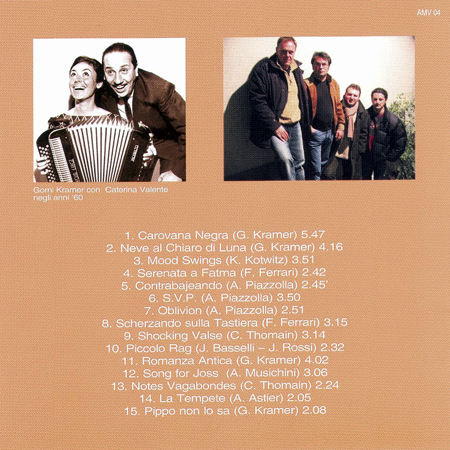 Gorni Kramer and Francesco Ferrari; six of the fifteen tracks (recorded live) are theirs; and even though they are of “those times”, they are still enjoyable today thanks to the lively arrangements of this group. The voyage through time and space proposed by the group the takes us to France and to a programme dedicated to the variete influence with tunes by Andre Aster, Joss Baselli, Claude Thomain (whose “Notes Vagabondes“ gives the CD its title) and Galliano. Then on to the Americas, first to Argentina and three tracks from the impeccable Astor Piazolla and then finally to the USA where Kenny Kotwitz provides the sophisticated “Mood Swing” whose title captures indeed the spirit of this CD and completes our intriguing musical journey.